No race or ethnicity is immune to developing high cholesterol levels but some studies are suggesting a connection between race and cholesterol. That is, some ethnic groups may be more susceptible to higher cholesterol levels. In adults, total cholesterol levels should be at or below 200 milligrams per deciliter (mg/dL). LDL cholesterol levels above 130 mg/dL are considered to be high and linked to increased health risks. But cholesterol levels vary by race and ethnicity as well as gender, according to the CDC. Non-Hispanic white men have the least incidence of high LDL cholesterol at 29.4% while non-Hispanic black men have 30.7% and Mexican American men have the highest incidence at 38.8% For women, the rates are nearly equal for non-Hispanic white and Mexican American women at 32% and 31.8%, while high LDL is higher in non-Hispanic black women at 33.6%. High cholesterol also plays a predominate role in the development of heart disease and stroke. Cholesterol can form sticky plaques inside artery walls, which obstruct the flow of blood and oxygen through the body. These cholesterol-laden plaques can also rupture, releasing plaque fragments that can block arteries in the heart or brain, which may lead to a heart attack or stroke. In the United States, the incidence of deaths resulting from heart disease is 30% higher for African Americans when compared to the white population. A study conducted by Duke Clinical Research Institute found that African-American patients who had suffered a heart attack were almost two times more likely than white patients to die within a year of treatment. Additionally, according to the CDC, African-American women have the greatest risk of dying from heart disease of any racial, ethnic, or gender population. African Americans are not the only individuals at an increased risk of developing cardiovascular problems. The prevalence of risk factors such as high blood pressure,​ obesity, and ​diabetes, is significantly increased among women in the Hispanic population. Native Americans are also seeing a rise in heart problems among adults. Although researchers have identified disparities between racial and ethnic groups, they are unsure how to interpret their findings. "There has to be something else going on that we don't fully understand," said cardiologist Rajendra Mehta, MD, in a Duke University Medical Center press release. That "something else" may not involve cholesterol directly. Prior to reaching 50 years of age, adults of all ethnicities have similar levels of total cholesterol. Research suggests that social, economic, lifestyle or genetic factors could all play a role in explaining the observed variations in heart health between ethnicities. For example, some experts point to unequal access to health care or cultural differences in attitudes toward medical treatment as reasons for these reported disparities. Researchers have found that, compared to whites, African-Americans and Hispanics are less likely have their blood cholesterol levels checked. The National Health and Nutrition Examination Survey found that approximately half of all individuals diagnosed with high blood cholesterol actually take their prescribed medication on a daily basis. In a 2004 presentation to the American Heart Association, Dr. Mehta noted that the lack of compliance with long-term drug therapy may explain the racial discrepancies in heart disease. Additional health issues, such as diabetes and obesity, influence the likelihood an individual will develop high cholesterol levels. Diabetes—a condition marked by abnormally high levels of sugar in the blood—is particularly prevalent among African Americans, affecting more than 13% of those over the age of 20. Diabetes occurs when the body either stops producing or becomes resistant to insulin, a hormone that is produced by the pancreas and helps regulate sugar levels. Abnormal sugar levels can damage many organs, including the heart. Cardiovascular disease is the leading cause of death for people with diabetes. Hispanics, Native Americans, Asian-Americans, and Pacific Islanders are all at particularly high risk for developing type 2 diabetes, which typically develops in adults over 40 years of age (but is becoming more common in children and adolescents). Researchers also believe that genetic factors may help account for the variation in diabetes risk among ethnicities. One theory holds that some ethnic groups are more likely to inherit the so-called "thrifty gene", which helped their ancestors store food energy more efficiently. As most of these individuals no longer have to deal with long periods of food scarcity, the thrifty gene plays a harmful role by triggering diabetes. The abundance of food has also led to a heavier American population. Obesity causes individuals to be more susceptible to developing both heart disease and diabetes. Obesity also has a significant impact on individuals with pre-existing high cholesterol levels, increasing the likelihood that these individuals will develop cardiovascular problems. In the United States, researchers have found that the prevalence of obesity is higher in most racial and ethnic minority populations (with the exception of Asian Americans) compared to the white population. Additionally, obesity is strongly associated with elevated cholesterol, high blood pressure, and diabetes, though the strength of these connections varies by race, ethnicity, and gender. Carroll MD, Kit BK, Lacher DA, Yoon SS. Total and High-density Lipoprotein Cholesterol in Adults: National Health and Nutrition Examination Survey, 2011–2012. NCHS Data Brief, No. 132. Hyattsville, MD, National Center for Health Statistics; 2013. Nelson, K. "Disparities in the Diagnosis and Treatment of High Blood Cholesterol by Race and Ethnicity." Abstr Acad Health Serv Res Health Policy Meet 18(2001) 8. "Heart Disease Facts." Centers for Disease Control and Prevention. 15 Nov 2007. Centers for Disease Control. "Cardiovascular Disease in Women Module I: Epidemiology." Women's Health.gov. 2004. U.S. Dept. of Health and Human Services. Paeratakul, S. "The Relation of Gender, Race, and Socioeconomic Status to Obesity and Obesity Comorbidities in a Sample of U.S. Adults." International Journal of Obesity 26.9Sep 2002 1205-1210. "Diabetes Statistics and Research." National Center for Chronic Disease Prevention and Health Promotion. 14 Dec 2007. Centers for Disease Control. "The Diabetes Epidemic Among African-Americans." National Diabetes Education Program. Nov 2005. National Institute of Health. Merritt, Richard. 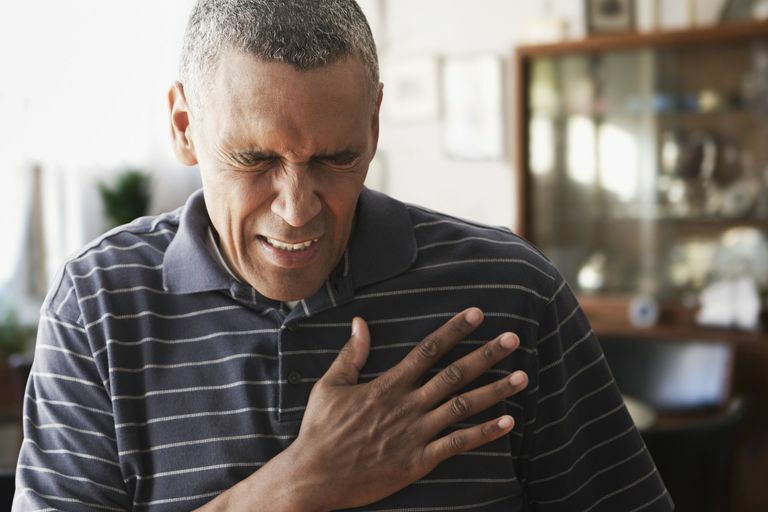 "African-American Heart Attack Patients Fare Worse Long-Term." Dukehealth.org. 9 Nov 2004. Duke Clinical Research Institute. Can Plant Sterols Help to Curb High Cholesterol? How Can You Find Low Cholesterol Food Without Labels? What Are the Healthiest Oils to Lower Your Cholesterol? Can High Cholesterol Levels Increase Your Stroke Risk? Can Yoga Help With High Cholesterol?